The man in the dark shirt is the late Manuel Alameida and the man kneeling on his left is his brother, the late Tony Alameida. The other men are family members. 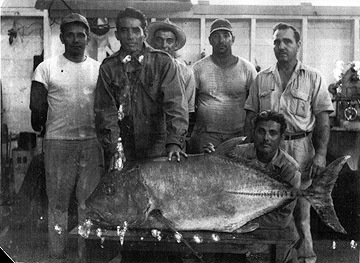 Manuel and Tony caught this 127-lb ulua at Mokuleia on Oahu between 1930 and 1940.